1956-8 Alfred H. Caspary collection of Classic issues of the World. 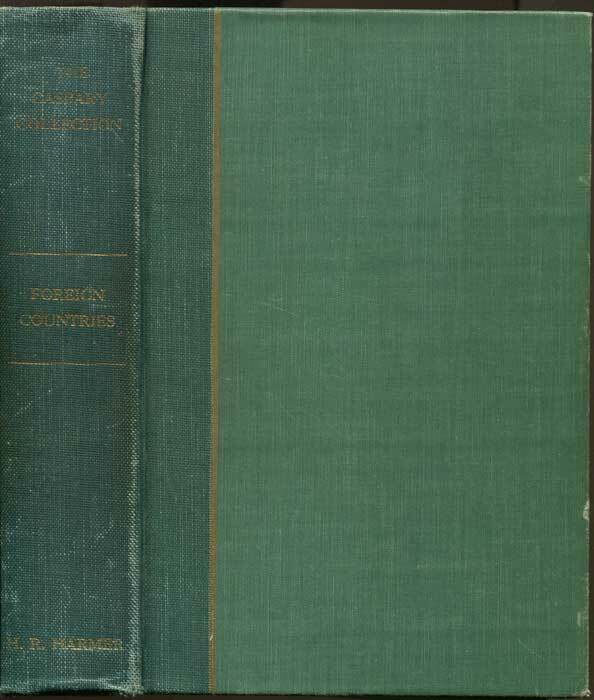 - Catalogues and lists of prices realised of Foreign Countries. Six auction sales bound together in original green cloth with introduction and index. Fine. 169pp. Fine in card covers. 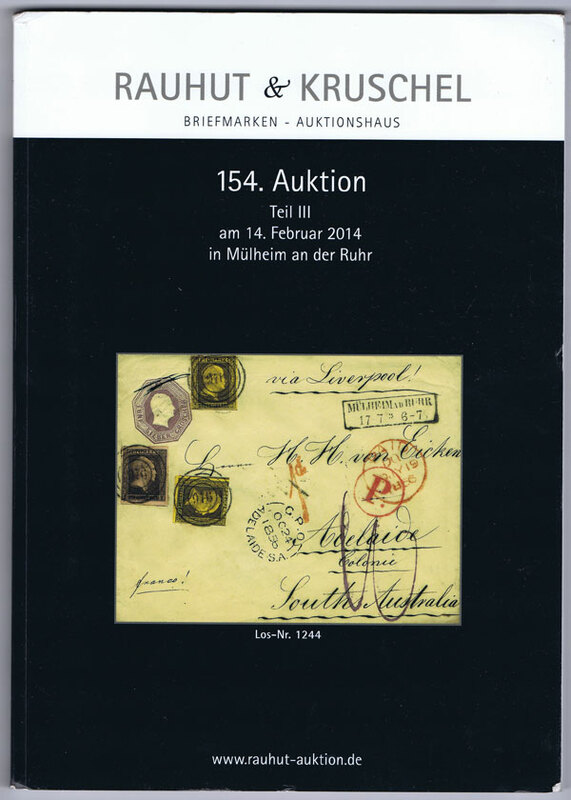 2014 (14 Feb) Briefmarken auktion. 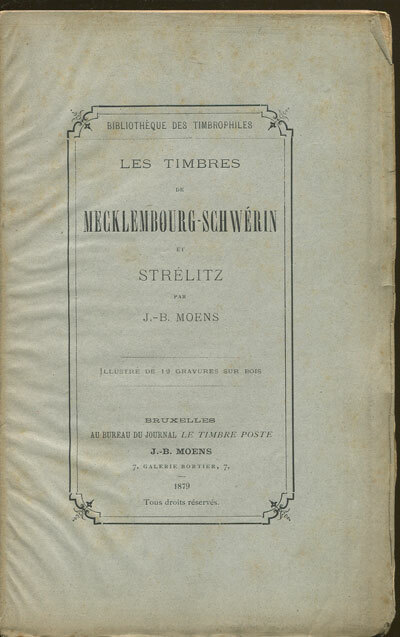 MOENS J.B. Les timbres de Mecklembourg-Schwerin - et Strelitz. 84pp. 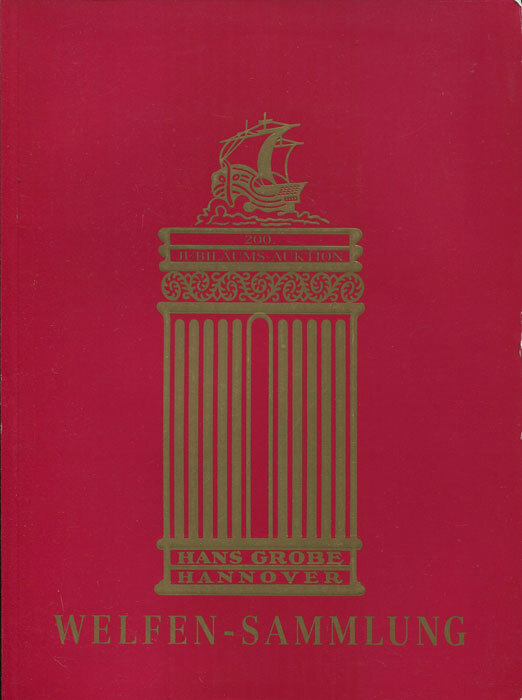 1st ed., uncut, clean in worn and original paper covers. Limited ed. of 150.